Making sleeves longer–a do-able operation! – Love.Yarn.Shop. How often have we wished our sleeves were a little longer? Or shorter? I had a customer with cardigan sleeves that were too short. If the sleeves had been knit from the top down, I could just unpick the bound-off edge, rip back to above the cuff, and knit the extra length (assuming she had the yarn, which she did). 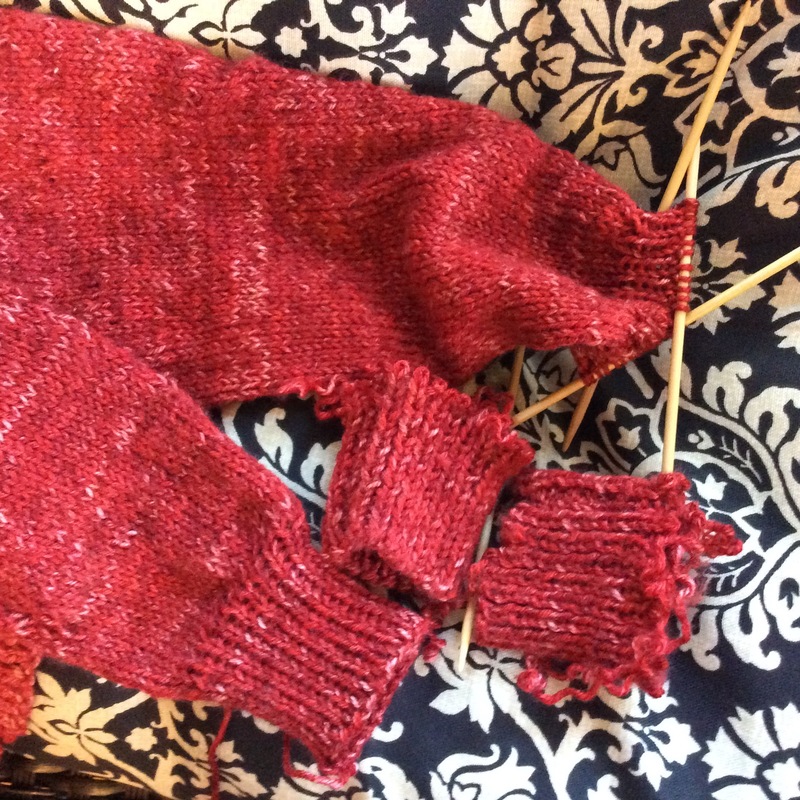 However, the sleeves had been knit from the cuff up, so the process was more complicated. In this case, looking down the sleeve, I picked up the right legs of the stitches in a row above the cuff. Then I used scissors to cut the row below the needles, removing the old cuff. Now I knit the extra length, two inches in this case, and then knit a new cuff. Voila! Sleeves of the right length. Pick up a row of stitches, cut the row below and knit away!